Francis Luk, MD, is dedicated to improving treatment of rheumatoid arthritis and lupus. He works on a variety of clinical trials to discover new therapeutic modalities and to refine existing therapies. Luk received his medical degree from St. George’s University School of Medicine in 2010 and then served in a series of postdoctoral training positions in internal medicine and rheumatology at Hahnemann University Hospital at Drexel University. He joined Wake Forest as an assistant professor in 2015. Luk believes that there is a profound need for more treatment options in rheumatoid arthritis and lupus, as well as needs for improved diagnostics and personalized approaches. In rheumatoid arthritis, choosing the right medicine for the individual patient remains a challenge, even with the emergence of several new medications in recent years. In lupus, there remains a deficit in the availability of safe and effective drugs. In his clinical trials, Luk is actively working to meet those challenges and improve treatments for rheumatoid arthritis and lupus. Some of his studies compare existing therapeutics; others evaluate new treatments. Along with the benefits of the trials in enhancing knowledge and moving the field forward, he appreciates the opportunities for his patients to gain access to the latest treatments for their conditions. When he is evaluating a potential clinical trial, Luk emphasizes the importance of safety first, to ensure that a drug being studied is known to be safe for his patients. Secondly, he evaluates whether a trial will add significantly to the knowledge base in the field, providing new information about a drug’s safety profile or efficacy. He also looks at the demands posed by individual studies in terms of labor intensity and time commitment. Going forward, Luk plans to continue his research focus on lupus and rheumatoid arthritis, particularly the growing area of psoriatic arthritis. He offers potential industry partners an extensive disease activity index, an important database for rheumatology studies. 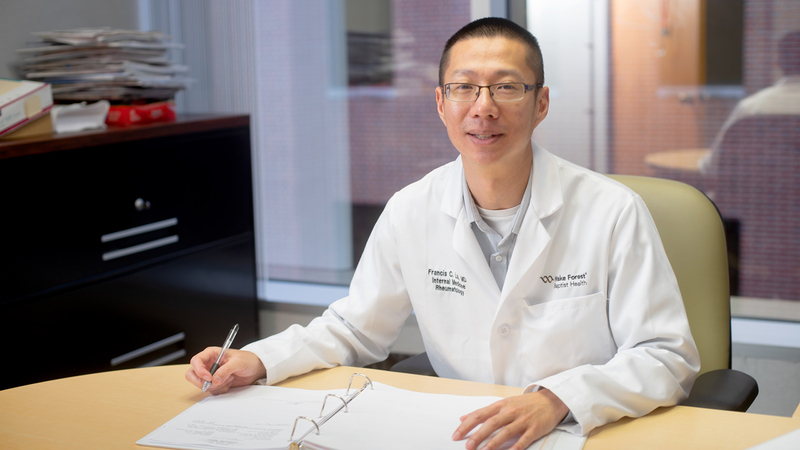 His practice includes a variety of patients being seen in an academic setting, including patients with several of the rare rheumatologic diseases such as vasculitis and lupus nephritis. His group also has access to a dedicated clinical research unit that offers considerable clinical trials support services such as randomization, pharmacy coordination, administration of placebo and IV medications, and more. Luk and his team are deeply experienced in performing rheumatoid arthritis and lupus studies in partnership with industry professionals and hope to continue to expand those relationships.